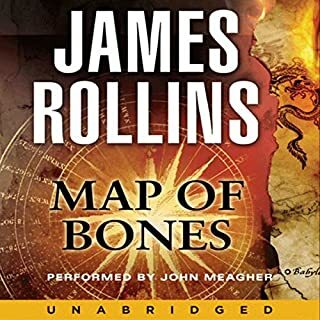 Map of Bones, like Amazonia and Ice Hunt before it (in an audio book sense), follows a bit of a formula. Many of the story elements are the same but the setting and the subject matter are very different. As a result I enjoyed this book as much as those others. The narrator continues to do a fantastic job of making the characters distinct and making the action come alive. 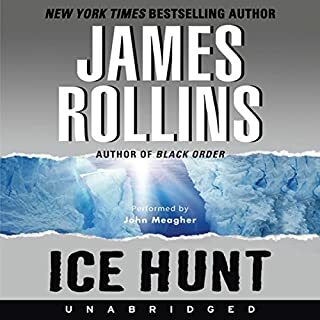 I have just recently gotten into audio books to make my long commute bearable. The subject of this book was enjoyable, the plot was just twisty enough, the characters were interesting. But what really kept me listening was the reader. The quality of Mr. Meagher's voice got this Audible recording its 4th star. I will look for his readings in the future.